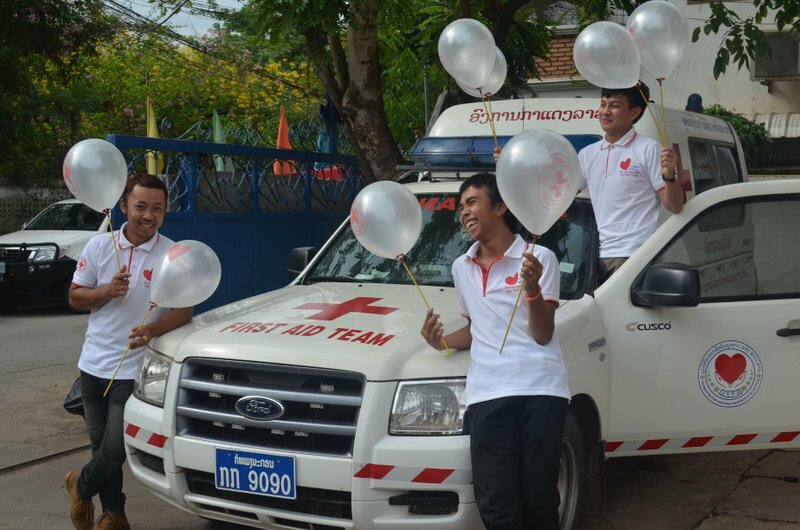 This Thursday 8 May Lao Red Cross and its partners will celebrate World Red Cross Day by hosting a special presentation and blood drive at Vientiane Ho Chi Minh School, from 8.30am. Together with the Lao office for the International Committee of the Red Cross (ICRC) Lao Red Cross will present information on current and planned future activities for humanitarian work in Laos, and share stories from volunteers, supporters and donors. The National Blood Transfusion Centre will also hold a blood donation drive. Lao Red Cross President Mr Laoly Faiphengyoa is looking forward to sharing his Red Cross story with guests on the day. “Sharing stories about our work and the people we help is crucial to having people understand exactly what Red Cross is and does,” Mr Faiphengyoa said. 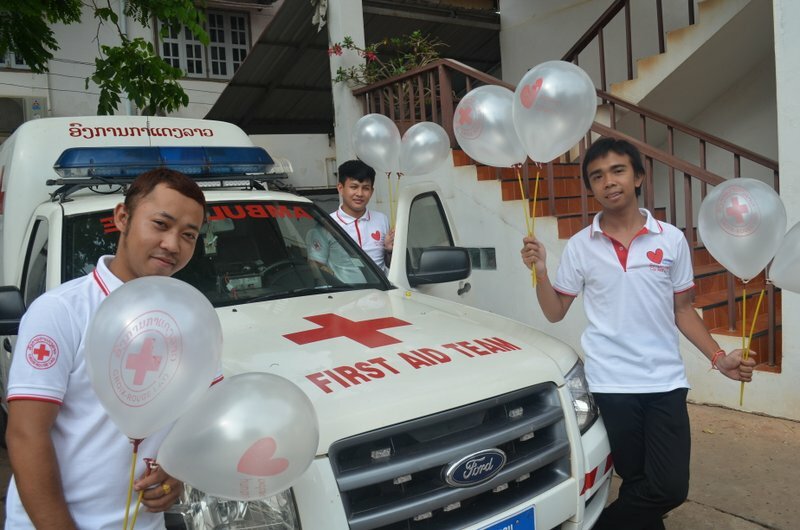 “Although one of our biggest programs is blood donation, Lao Red Cross is more than that. “We also run health education programs, provide disaster preparedness and relief and develop programs to encourage active citizenship within our youth,” he said. Lao Red Cross invites the Vientiane community to attend the event to learn about Lao Red Cross programs, donate blood, and purchase merchandise to support their work. Popular dance group Lao Bang Fai will also be showing off their dance skills. The community is also invited to share their Red Cross stories at the event or online. Has Red Cross helped you, a family member or friend? Special Red Cross cupcakes to celebrate the day will be available at the event and from JOMA Bakery Cafe who are donating proceeds to support Lao Red Cross programs. Visit a JOMA Bakery (Nam Phou, Ban Phontan and That Luang) to make your purchase and show your support. Other generous community sponsors include ST Bank, ETL and Lao Telecom. World Red Cross Day recognises and celebrates the varied humanitarian action that takes place all over the world under the Red Cross Movement. From providing emergency relief during times of conflict and disaster to building communities with improved health care Red Cross is focused on supporting people when they need it most. 8 ??????? ???????????????? ???? ?????????????????????????????????????????????????????????? ?????????????????????????????????????? ???? ????????????? ?????????? ??????-???????????? ???????????? 8.30 ?????????????????. ???????????????? ???? ????????????????????????? ???????????????????????????????????????????????????????? ???? ????????????????????????????????????????? ? ? ? ?? ?, ???? ????????????????????????????????????????????????????????? ?, ????????????????????? ????? ???????????????? ?, ?????????????????????????????????????????????????. ???? ???????? ???????????? ??????????????????????? ???????????????????????????????????????????????????????????????????????????????????. “?????????????????????????????????????????? ???? ????????????????????????????????????????????????????????????????????????????????????? ???? ????????? ?, ???? ???????? ????. ???????????????? ????????????????????????????????????????????????????????????? ?, ????????????????? ?, ???????????????????????????????????????????????????????????????????????? ??????????????????????????????? ???????????? ???????????. ??????????? ?, ??????????????????????????????????????????????????? ?????? ?????????????????????????????????????? ??????????????????????????????????????????????????????????????????????????????????????? ?, ?????????????????????????????????????????????? ?????? ????????? ?, ???? ??????? ???? ???? ??????? ?, ???????? ??????? ST, ETL ???? ??????? ???????????? ????????????????????????????????????????. ??????????? ???? ???????????????????????? ?????????????????????????????????? ???? ?????????????????? ????????????????????????????????????????????????????????????????????????? ?, ???????????? ????????????????? ????????????????????????????????????????????????????????? ???????????????? ?.